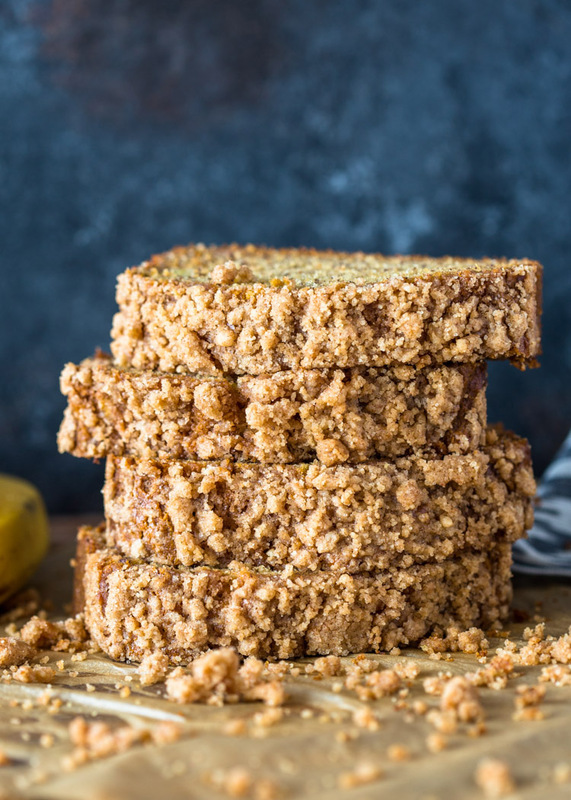 Moist lightened-up banana bread made with honey, olive oil, yogurt and topped with a cinnamon crumble. I get excited whenever we have over-ripe because I know it’s time for banana bread. 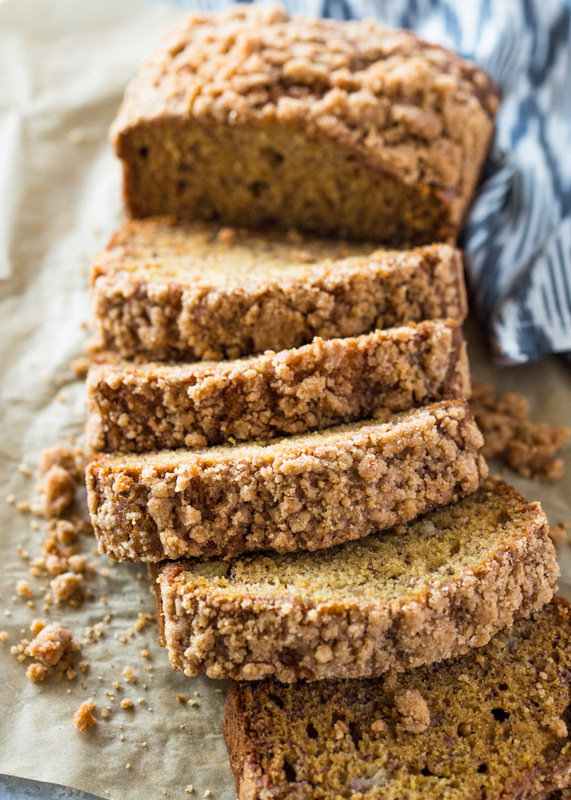 Banana bread is one of the easiest and most delicious bread you can make. 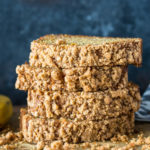 Over the past few years, I’ve shared a few of my favorite banana bread recipes with you all and this one is another favorite. It’s a healthier lightened up version of my original banana bread. It’s topped with a crunchy cinnamon crumble that is to die for. The bread itself contains no butter or sugar but the crumble itself does contain 2 tablespoons of butter but it’s totally worth it! If you’re looking for the gluten-free version, be sure to check it out here and if you just want a plain healthy chocolate chip banana bread to check out this one. Pre-heat oven to 325F. Grease a 9x5 inch loaf pan and set aside. In a medium bowl, whisk the flour, cinnamon, baking soda and salt. Set aside. In a large bowl, beat eggs, oil, honey, milk and vanilla for 1-2 minutes. Stir in the mashed bananas and flour mixture and mix just until combined. Pour batter into greased pan, sprinkle with crumble. Bake for 50 minutes or until a toothpick inserted comes out clean. Cool for 10 minutes, slice and enjoy! To make the streusel topping:Combine the flour, brown sugar, cinnamon and softened butter in a small bowl until well mixed. Crumble over top of the banana bread before baking. To make this bread gluten-free: Use Bob's Red Mill gluten-free flour. For dairy-free/vegan: use almond milk and flax eggs and maple syrup. *Trader Joe's has white whole wheat flour that is also great for this bread. I made this twice!! Love!